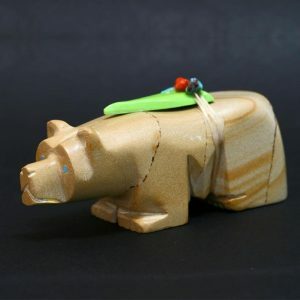 Zuni bear fetish carved from travertine rock by Jimmy Yawakia. 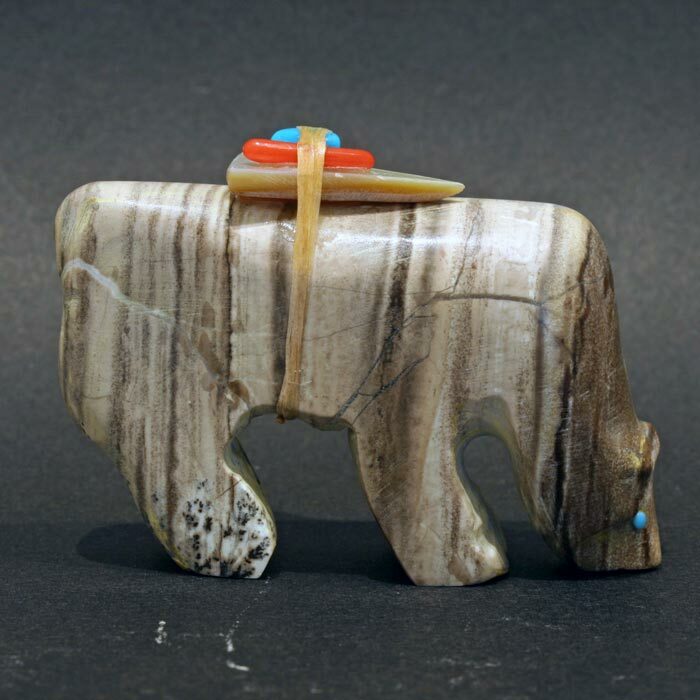 Bear is protected by a mother of pearl arrowhead, red coral and turquoise. Jimmy Yawakia, whose family name means ‘falls in love’, carves with genuine respect in keeping with traditional old style fetishes. This Zuni bear fetish measures 5.5cm from nose to rump and 4cm in height. 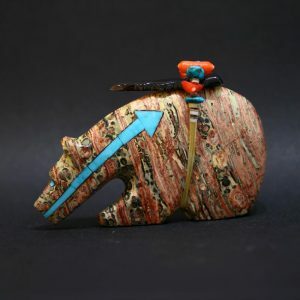 Zuni bear fetish carved from travertine rock by Jimmy Yawakia.Bear is protected by a mother of pearl arrowhead, red coral and turquoise. Jimmy Yawakia, whose family name means ‘falls in love’, carves with genuine respect in keeping with traditional old style fetishes. 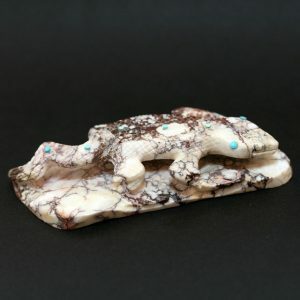 This Zuni bear fetish measures 5.5cm from nose to rump and 4cm in height.